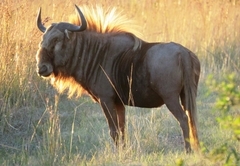 Dawsons Game & Trout Lodge is a highly recommended Mpumalanga game lodge providing a wildlife experience for discerning tourists visiting Grass & Wetlands. 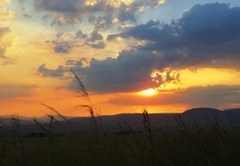 Dawson’s Game and Trout Lodge, a unique African experience, is situated in Mpumalanga where the last remnant of the Great Rift Valley forms the Escarpment, separating the High- and Lowveld with their dramatically different climates, flora and fauna. 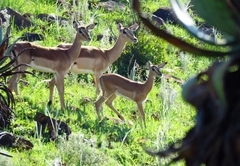 Dawson’s lies at the transition of these two regions, where Highveld Blesbuck meet Lowveld Impala, with dramatic mountain backdrops forming perennial streams and waterfalls that is the Komati River. 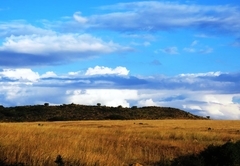 Explore at you leisure over 2000 hectares of wide open grasslands and bushveld, teeming with herds of antelope. 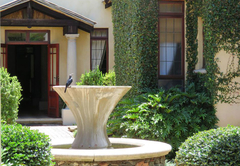 We accommodate sixteen guests in eight rooms, all of our facilities are of the highest standard, so that a stay with us is more like a country house party of yesteryear. For the mature and more thoughtful guest to relax and contemplate the qualities of life, that here, make a truly splendid place. Eight luxurious en-suite rooms with large Victorian-style bathrooms. 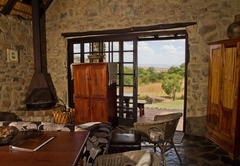 All of our facilities are of the highest standard, large suites with dry-stone interior walls, percale linen, king size 4-poster beds, hand picked antique furniture, fireplaces, sherry and nuts, walk-in closet, heated towel rails, fully stocked mini-bars with Dawson’s home-made chocolate chip cookies as well as freshly ground coffee. The Homestead has seven bedrooms able to accommodate up to 14 people. 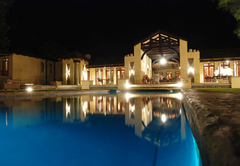 It is fully self catering with its own kitchen, lounge with TV, entertainment lapa and swimming pool. 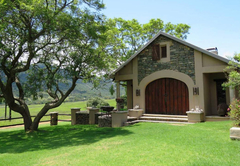 The Self catering Cottage is suitable for 4 guests. Self Catering, Open-plan Loung, Kitchen. One double bed, two single beds and a pull out bed for a fifth guest. Marvel at our chef’s innovative talent while you sit back and soak up the atmosphere, savouring the taste and aroma of cuisine in its most exquisite form. 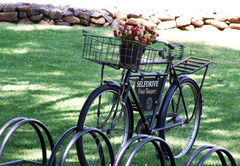 Breakfast and lunch can be served either in the privacy of your own room, on the patio or enjoyed in our dining room. For a romantic lunch, our chef will prepare a sumptuous picnic basket that can accompany you on a self-drive outing to any secluded point on the reserve. 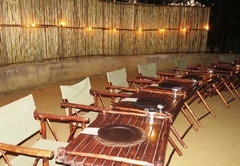 Finally, for a truly African experience, dinner can be taken in our traditional African-style boma, around an open log fire. 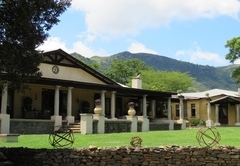 Dawsons Game & Trout Lodge offers two conference venues each offering boardroom seating for 12 delegates, cinema 30, u-shape 15 and school room seating for 20. 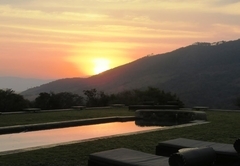 We specialise in intimate weddings and exclusive functions. 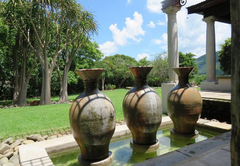 Dawsons Game and Trout Lodge now offer their guests spa treatments that focus specifically on de-toxification and de-stressing in an inspiring environment. Stiglingh, a renowned therapist whose treatments embody her “All natural, all hands on” approach. 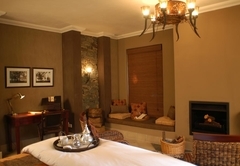 Lengthy treatments beside the fireplace in the privacy and warmth of a guests cottage or outside on the grassland plains under the aloe trees, are filled with scents of peppermint, ginger, camphor, lemon verbena, coffee and vanilla. 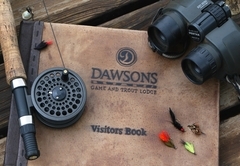 Guests have full access to a variety of activities while staying at Dawsons Game and Trout Lodge. 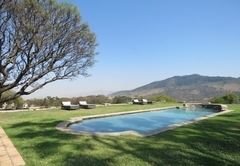 These include guided game drives and walks, trout and bass fishing, bird viewing, horse riding, scenic hikes or just simply relax around our pool area and soak up the magnificent sunshine and views. 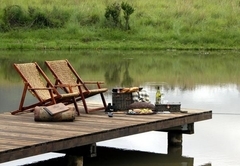 While away the hours doing what comes naturally from our well-stocked waters or let us offer you expert tuition. 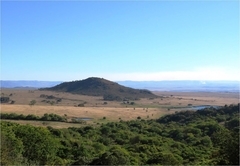 The area hosts a unique combination of bird species such as Knysna Lourie, Malachite Hum bird, Olive Bush-Shrike, Trumpeter Hornbill and many more occasional visitors and seasonal migrants. Spending a few hours in our corner of paradise accompanied by a professional field guide will offer constant excitement and photographic opportunities. Revitalise your spirits with a short guided or free walking day - walk along 100-year-old water canals to a spectacular waterfall overlooking the valley. For the adventurous there can be no better way of getting up close and personal to our wildlife. 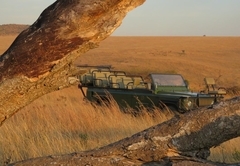 Early morning and late afternoon guided game drives will thrill you across wide-open grasslands and through dense bushveld. 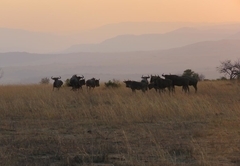 Experience the unique behavioural patterns of our myriad of wild indigenous game species whilst enjoying your favourite sundowner. 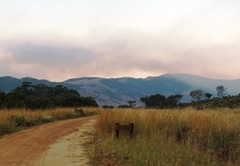 Dawsons Game and Trout Lodge, is situated in Mpumalanga (meaning “the rising sun”) which is well known for its spectacular scenery, wild life and historical interest. 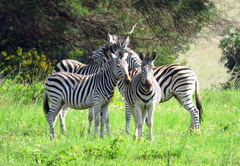 Exciting day drives can be taken to nearby Barberton, Pilgrims Rest (Discovery of Gold - Gold Rush), Graskop, Sabie and Swaziland, as well as the Kruger National Park. Luxury Twin Room. 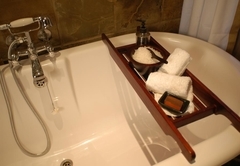 Luxurious en-suite rooms with large Victorian-style bathrooms. 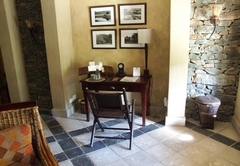 All of our facilities are of the highest standard, large suites with dry-stone interior walls, percale linen, king size 4-poster beds, hand picked antique furniture, fireplaces, sherry and nuts, walk-in closet, heated towel rails, fully stocked mini-bars with Dawson’s home-made chocolate chip cookies as well as freshly ground coffee. Luxury Double Room. 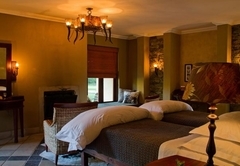 Luxurious en-suite rooms with large Victorian-style bathrooms. 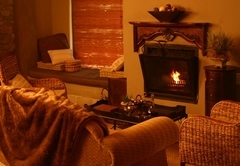 All of our facilities are of the highest standard, large suites with dry-stone interior walls, percale linen, king size 4-poster beds, hand picked antique furniture, fireplaces, sherry and nuts, walk-in closet, heated towel rails, fully stocked mini-bars with Dawson’s home-made chocolate chip cookies as well as freshly ground coffee. Everything was perfect. Better than expected. Good value! Response timeDawsons Game & Trout Lodge typically responds to requests in 5-10 minutes.